The world of Linux is ready to welcome you, with a shower of free open-source software you can use on any PC: hundreds of active Linux distributions, and dozens of different desktop environments you could run on them. It’s a far cry from the one-size-fits-all, this-is-just-what-comes-with-your-PC vision of Windows. Everything from software installation to hardware drivers works differently on Linux, though, which can be daunting. 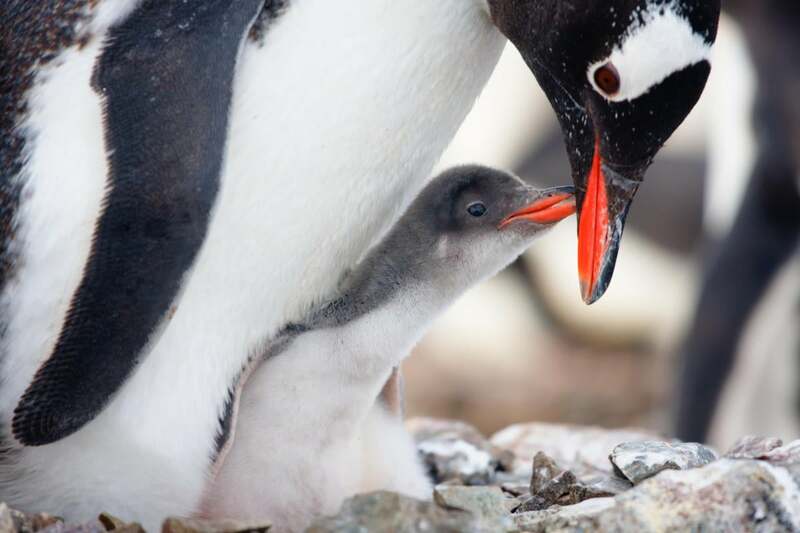 Take heart—you don’t even need to install Linux on your PC to get started. Here’s everything you need to know. Unlike Windows 10, there’s no single version of Linux. Linux distributions take the Linux kernel and combine it with other software like the GNU core utilities, X.org graphical server, a desktop environment, web browser, and more. Each distribution unites some combination of these elements into a single operating system you can install. 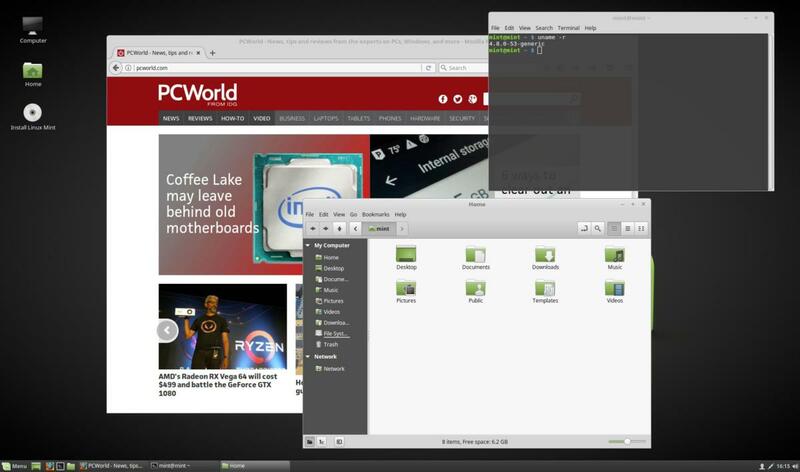 The Cinnamon desktop environment running on Linux Mint 18.2. You can use the Universal USB Installer to easily create a bootable thumb drive using an .ISO image of a Linux distribution. You can now either burn that ISO image to a DVD or USB. Note that booting from USB 3.0 is faster than booting from DVD these days, and more versatile given that most laptops and many desktops no longer include a DVD drive. To burn an image to USB, you'll need a specialized program. 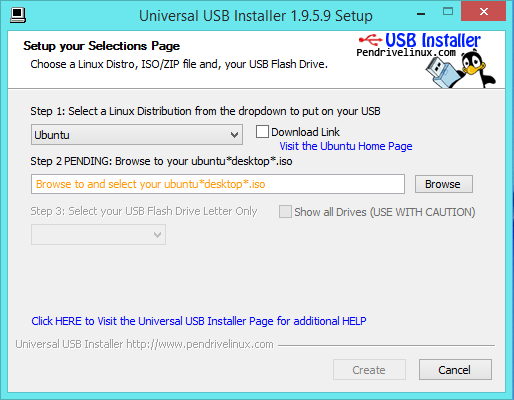 Many Linux distributions recommend using Rufus, UNetbootin, or Universal USB Installer. If you'll be using Fedora, we think the Fedora Media Writer is by far the easiest way to go. Fedora's Media Writer utility is a thing of beauty and can run on Windows or Mac OS. It's the easiest way to make a bootable Linux USB stick. For most desktops and laptops, the above instructions will suffice. However, if you want to use Linux on a Chromebook, Raspberry Pi, or another type of device, there are special instructions you’ll need to follow. Now you’ll need to boot that Linux system. Restart your computer with the disc or USB drive inserted and it should automatically boot. If it doesn’t, you may need to change your BIOS or UEFI firmware boot order, or select a boot device during the boot process. If you're not sure whether you're running UEFI or BIOS, you're probably running UEFI, unless your PC is five years old or more. To enter your BIOS or UEFI on a desktop, you'll generally have to hit the Del or F12 key during the POST process (before Windows starts booting). It can be a little trickier to get into the BIOS/UEFI on laptops. Many modern laptops don't give you the option to enter UEFI by keystroke. Some laptops may include a small, unlabeled button on the side that you can hold down while you turn on the laptop. If you're unsure about how to enter the UEFI setup screen, consult your PC's user manual. On younger Windows PCs running Windows 10, you may have to disable Secure Boot before booting Linux. (Secure Boot has been a headache for many Linux users.) Most of the larger Linux distributions will boot normally with Secure Boot enabled, but others won’t. Even if you don’t want to use Linux as your everyday operating system, having this Linux live DVD or USB drive around can be useful. You can insert it into any computer and boot Linux whenever you want. Use it to troubleshoot Windows problems, recover files from a corrupted system, scan an infected system for malware, or provide a secure environment for online banking and other important tasks. If you have more than one USB stick to spare, you can try different Linux distributions and pick the one you prefer. Another handy trick: If you enable the “persistence” option when putting Ubuntu on the USB drive, you can save files and settings to the drive and they’ll remain accessible every time you boot it. With free virtualization tools like VirtualBox, you can have multiple virtual machines (VMs), complete with their own boot sequences and isolated storage. One of the most popular things to do with virtual machines is to run different operating systems on one computer without needing to reboot. 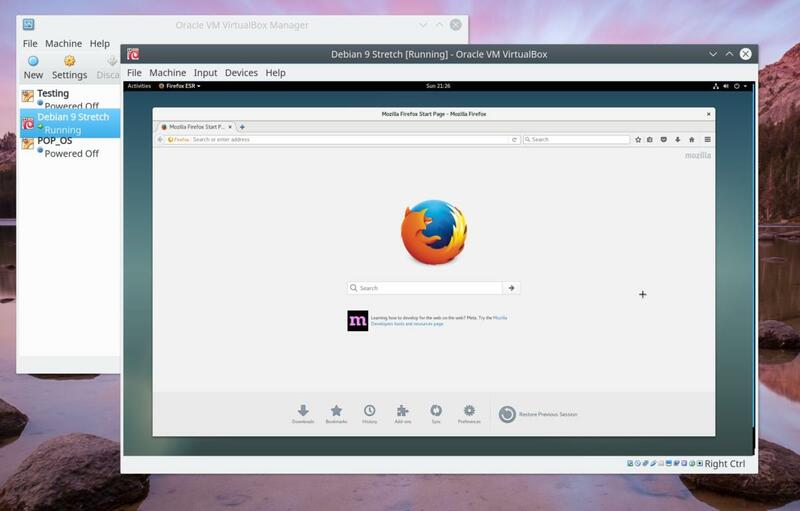 It's pretty easy to create a VM on Windows to create a virtual environment to run Linux in. VMs are easy to manage, and when you're done using them, you can delete them. You can even back up copies of the entire virtualized (guest) operating system if you need to. You can use VirtualBox to test different Linux distros while running Windows or Linux. Here, Debian 9 (the guest) is running in VirtualBox on Arch Linux (the host). If you've never used VirtualBox before, Virtualbox is a cinch to set up. Once you have it installed in Windows 10, you can set up a VM in a couple minutes with VirtualBox's wizard. The VirtualBox manual's step-by-step instructions are a great resource if you're not quite sure where to start. While using VirtualBox is a great way to try out one or more Linux distributions, there are some disadvantages. Virtualization comes with a performance hit due to overhead, though this is reduced if your CPU has virtualization support built-in. Intel calls its virtualization support VT-x, while AMD's is called AMD-V. To take advantage of this technology, you also have to make sure that virtualization support is enabled on your motherboard (in the UEFI or BIOS) as well. In addition to a performance hit, virtual machines generally won't have direct hardware access to things like video cards. 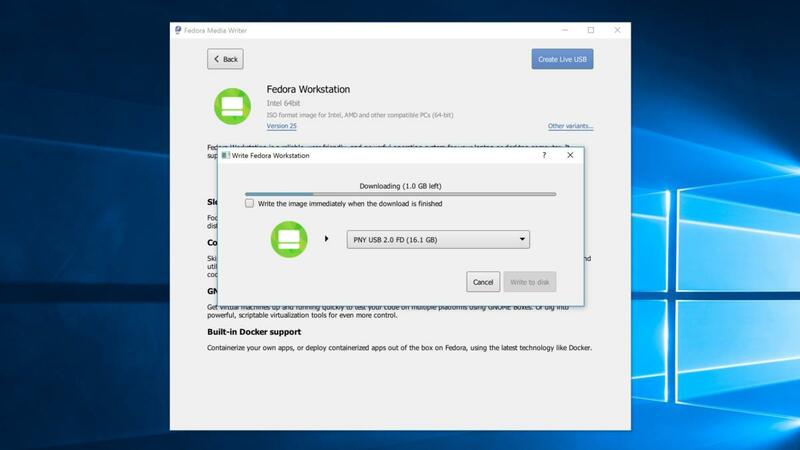 Despite the disadvantages, if you're Linux-curious, and not ready to install Linux on your PC's "bare metal," virtualization offers a great way to try out Linux without the need of a USB stick. Depending on which Linux distribution and desktop environment you choose, your desktop environment and installed applications will vary—though most will cover your typical needs. 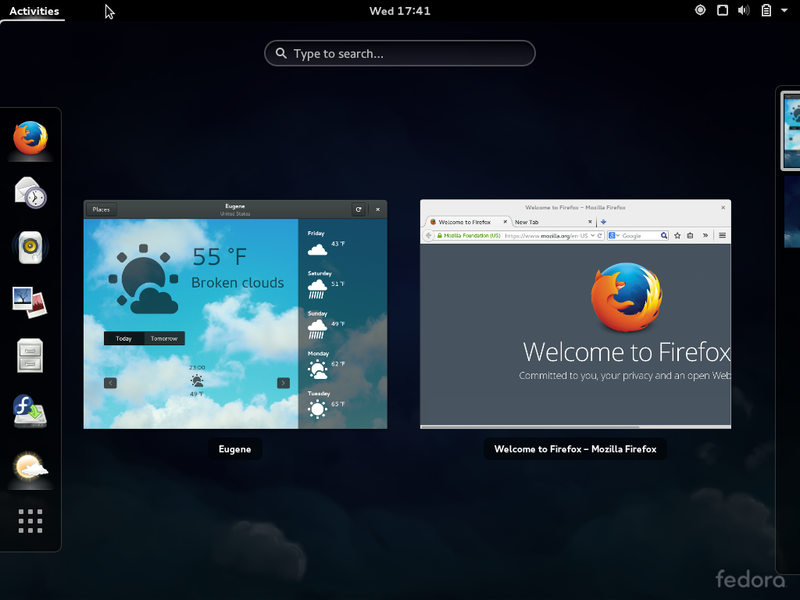 Most Linux distributions ship with the Firefox web browser, for example. The open-source Chromium browser (or Google's Chrome, if you prefer) is just a few clicks away. Your desktop environment should have all the standard bits: an application menu, some sort of taskbar or dock, and a notification area or “system tray.” Click around to see what everything does. You should also find a collection of system utilities that will let you configure your hardware and make your desktop work the way you’d like. Ubuntu 16.04's Unity desktop can be quirky, but it’s packed with useful features you’d never find on your own, like the HUD. If you're going with Ubuntu 16.04 or earlier, be aware that Ubuntu will be abandoning its Unity desktop in future versions. Ubuntu dropped Unity in favor of the GNOME shell that comes default on Fedora and other distributions. If you want to try Ubuntu, we recommend trying Ubuntu GNOME, which uses the GNOME desktop instead of Unity. Additionally, be sure to enable virtual desktops (most modern Linux desktops have disabled them by default) and give them a shot, too. 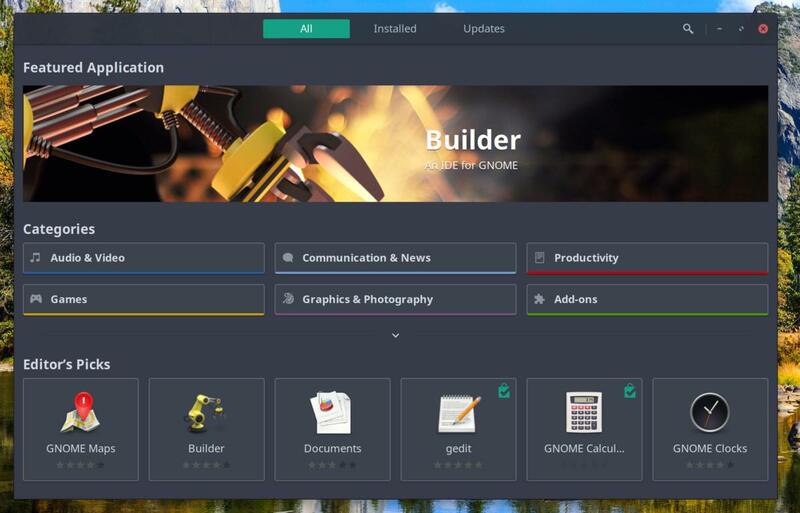 Every desktop environment has a set of tools to help you customize the look and feel how you want it to. 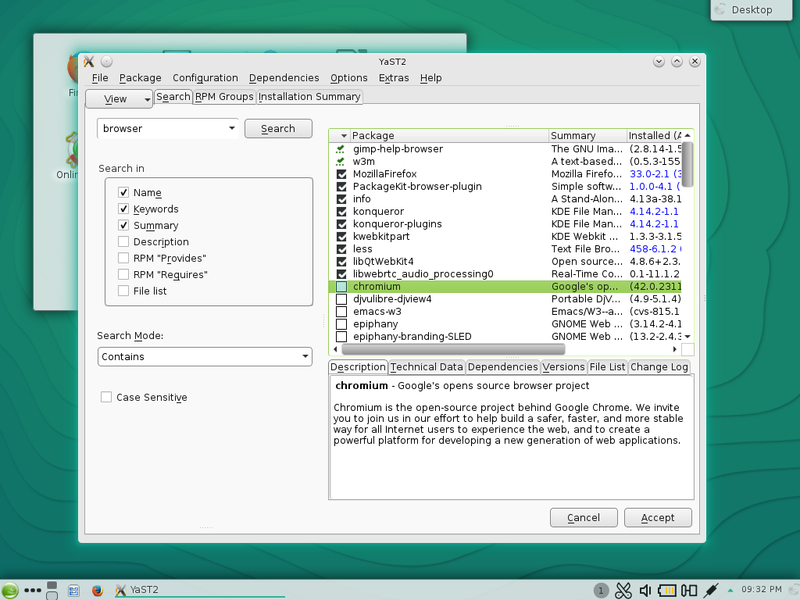 Here, Cinnamon's System Settings running on Linux Mint 18.2 shows the options available. If you're unhappy with the desktop you're using, don't worry. While some distributions are optimized for a particular desktop, nearly every major distribution gives you the option to install the desktop of your choice after the system is installed. As long as you have enough storage to spare, you can have GNOME, KDE, Cinnamon, XFCE, and other desktops installed at the same time. When you log in to the desktop, you can choose what desktop environment to run. If you ever get lost, there is plenty of help online. Generally Googling your distribution's name followed by the question will lead you in the right direction. If you prefer a more structured help environment, the Ubuntu and Fedora documentation websites are great resources. While the Arch Wiki is written with users of Arch Linux in mind, it is a great in-depth resource for Linux programs in general. Of course, you can always choose to install Windows in a virtual machine as well. Software installation on Linux works very differently from software installation on Windows. You don’t need to open your web browser and search for applications. Instead, look for the software installer on your system. On Ubuntu and Fedora, you can install software using GNOME's software store application (aptly called "Software"). Software managers aren’t just fancy interfaces for downloading software from the web. Your Linux distribution hosts its own “software repositories,” containing software compiled to work with it. This software is tested and provided by the Linux distribution. (If you choose a rolling-release distribution like Arch or openSUSE Tumbleweed, the newer software can cause problems. If you prefer stability over the latest-and-greatest versions of software, stick to a "versioned" Linux distribution to start out.) If security patches are necessary, your Linux distribution will provide them to you in a standard way. 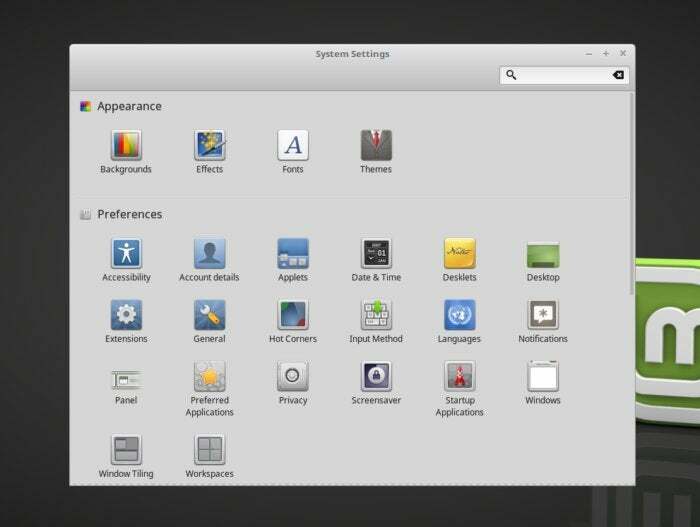 GNOME Software is an application that uses store-like interface to browse for and install software. 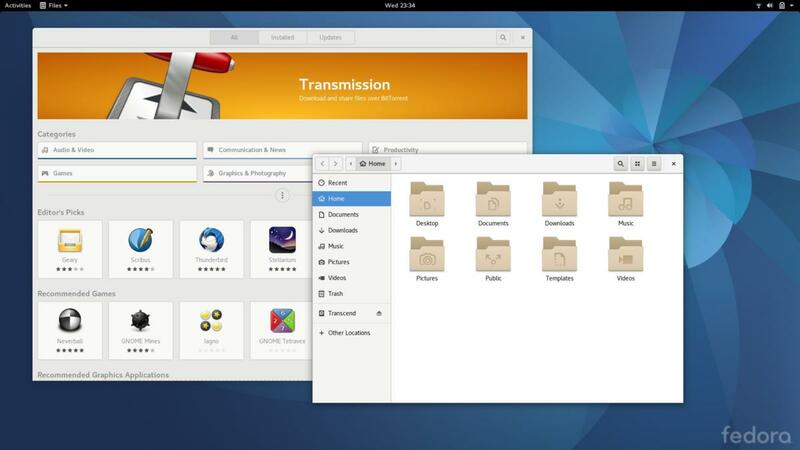 GNOME Software is available on Ubuntu and any distribution that uses the GNOME desktop. While most major distributions offer GUI programs to help you install software, all distributions have command-line tools that can do the same thing. Though it can be intimidating for newbies, we recommend users familiarize themselves with how to install applications from the command line, even if they prefer using the GUI. If an installation fails for some reason, using the command line will offer hints as to why the installation failed. Some applications—particularly closed-source applications like Google Chrome, Steam, Skype, Minecraft, and others—may have to be installed from outside your Linux distribution’s package manager. But check your package manager first—you'll be surprised what apps may be available through your distro's repositories. If you can't find the app you need, you can download these applications from their official websites, just as you would on Windows. Be sure to download the installer package designed for the Linux distribution you’re using.